CSKT River Honoring an educational and fun event for kids - S&K Technologies, Inc. The 2016 River Honoring will take place on Monday, May 9th at 4pm and is open to the public. Kids events are held the 10th and 11th. For more information, click here. 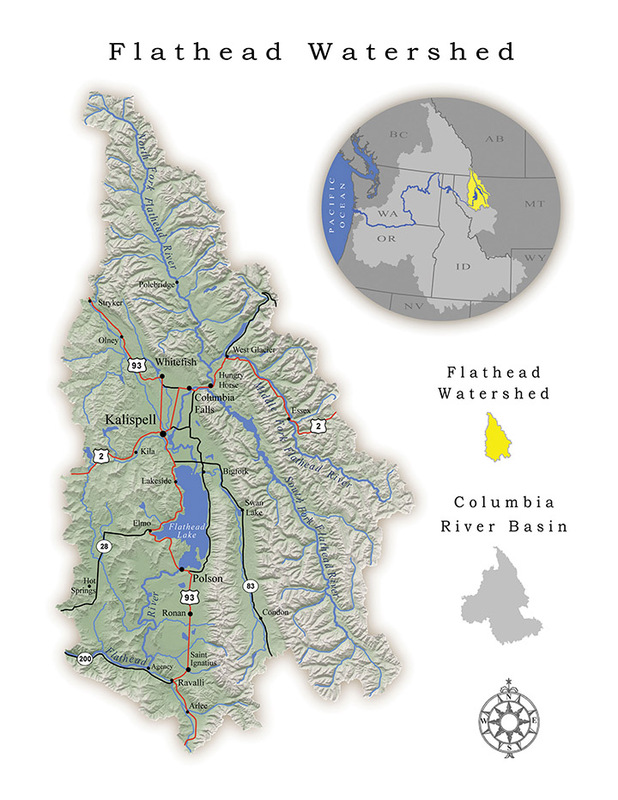 The Flathead Watershed is a major tributary and headwaters to the Columbia River Basin in the Pacific Northwest. This unique watershed area has been home to the Salish and Kootenai people at least 10,000 years, possibly longer. Before the construction of dams in the Columbia River Basin many Confederated Salish and Kootenai Tribal (CSKT) elders recall stories of marine animals present in the Flathead Watershed including salmon and seals. The Flathead Watershed, or CSKT aboriginal territory, is now home to the largest concentration of grizzly bears in the interior of North America—amongst many other animals. The oral stories of the CSKT people recount the last Ice Age and the massive, ancient Glacial Lake Missoula. The thawing of the glacial ice released much of the waters of Glacial Lake Missoula which flowed to the Pacific Ocean. Ancient stories substantiate geological accounts placing CSKT people in the area approximately 40,000 years ago. Much physical evidence of prior occupation would have been lost due to the advance and retreat of glaciers during the last Ice Age (10,000 years ago). The evidence of occupation along the Flathead River and Lake, suggest that this watershed was an important cultural center for ancient life in Western Montana. 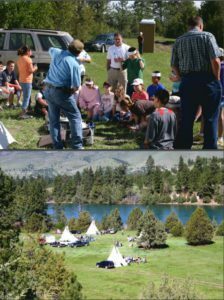 Given the long history of the CKST people along the Flathead River and its many tributaries, the CSKT decided to host a yearly river honoring. The event was an opportunity for CSKT elders to remind the youth of the importance of the river to our people as a means of sustenance and transportation. The first was held in 1986 and students of all grades were invited to attend. There are many events open to the public along with native games and educational stations. In 1993, the River Honoring Committee decided to focus on fourth and fifth grade students as they are old enough to understand the importance of the river and maintain wonder and curiosity. Nearly 1,000 students attend the River Honoring each year. 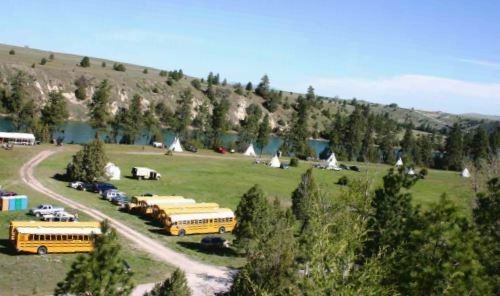 Students learn about cultural aspects of the tribe, environment, biology, games, and wildlife. Since its start, 20,000 students have attended the River Honoring and have learned more about the importance of the river system, CSKT culture, and how people and nature interact.